As the world’s demand for electricity continues to grow so does the demand for grid technology and automation, in particular the technology and power systems which support the transmission and distribution of electricity. To help companies understand the ‘Transmission and Distribution High Tech Power market’, we have published a market research report and database. We have created a High Tech Power Market Database which provides data on the market demand and expenditure for power systems and utility automation for the transmission and distribution of electricity. These figures help companies understand the speed of growth in the transmission and distribution technology market and the growing demand for T&D power systems. 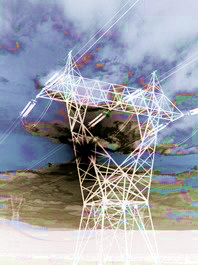 This report and database, forms just one of the Transmission and Distribution Reports that we have produced and provides a focused look at the advanced power systems that will replace the old T&D infrastructure as smart grid systems become ubiquitous. Contents include detailed data on the demand and expenditure for the High Tech Power sector (defined as utility automation and power systems within the T&D market) and the value of the entire Transmission and Distribution sector as a part of the smart grid market. Power system subtopics include turnkey substations, HVDC systems, and FACTS (Flexible Alternating Current Transmission Systems). New Transmission and Distribution technologies will be essential in the race to meet growing demand. As the old grid is replaced and renewables become more common, new Transmission and Distribution technologies involving more advanced grid planning and grid automation strategies will be essential. Power systems are combinations of products that have been engineered to work in concert, producing a better system than could be achieved through the purchase of isolated units. Power system products would include T&D substations, turnkey substations, HVDC systems and FACTS (Flexible Alternating Current Transmission Systems). New power systems will be essential to support the new grid technology. There is a growing trend towards ‘utility automation’. We define this as the process by which IT engineers automate the monitoring and management of Transmission and Distribution networks. Manual processes are removed and replaced by new electricity transmission and distribution technology and grid technology. Our Report and Database allows companies to make key business decisions about the electricity T&D high-tech power sector. Insight into grid technology, grid monitoring and grid planning will also be gained. NRG Expert is a London and Toronto based energy market research publisher. NRG Expert provides up to date information and analysis on worldwide energy markets, and has completed an in-depth study into the Electricity Transmission and Distribution market including a review of the High Tech Power Market, Electricity Transmission and Distribution technologies, T&D companies, power systems, smart grids and grid technology. I can not find your email subscription link or e-newsletter service. Do you’ve any? Please let me know so that I may subscribe. Thanks.